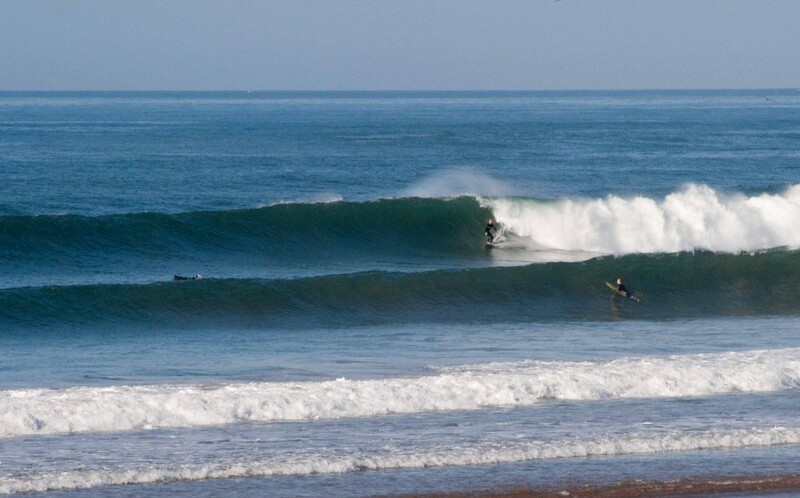 What to expect on your Surf Holiday in Morocco! On your arrival in Morocco if you opt for us to arrange an airport transfer for you, you will be met by one of our safe drivers at the airport who will drive you straight to the accommodation, whatever time or day you arrive. Breakfast is served each morning from 8am on our roof top terrace so you can check the surf from there, while your guides/instructors load the vehicles with your boards. Our Surf Camp guests will be driven by their instructors to one of the sandy beach breaks, whilst our Surf Guiding guests hit the road in search of those perfect waves. 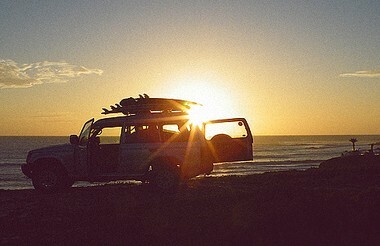 This may involve an extra bit of driving to secure you those un-crowded waves. After your morning surf lesson/guided surf session a packed lunch of healthy sandwiches, fresh fruit and cookies awaits you. For those with special dietary requirements we will try our best to accommodate them. Depending on conditions you can either spend the rest of the day surfing, soaking up the sun, or even experience a camel ride along the beach! If you plan on bringing along your non-surfing partner or friend then they are more than welcome to join us at the beach, soak up the rays and catch you on camera. After all day out at the beach/surf spots we will bring you back to the riad where you will have time to chill out and have a shower and enjoy the beautiful sunset on the terrace. Dinner can be ordered in advance at reception and is served at the restaurant next door or you can head into town to one of the many great restaurants to experience some local Moroccan fare. How you spend the rest of the evening is up to you – chill out with the other guests at the riad, catch up on emails with our free wifi access, venture out for a mint tea or even hit the Moroccan night life! For the odd occasion when the waves decide to take the day off, or if you fancy a day to re-charge and take in the local culture, we ‘re happy to help you arrange other activities in the local area: Check out our day trips page to find out more. Please note: This is a typical day, however as many of you know…swell size, tides and wind play a big role in surfing so this is subject to change to ensure you get the most out of your time in the water!